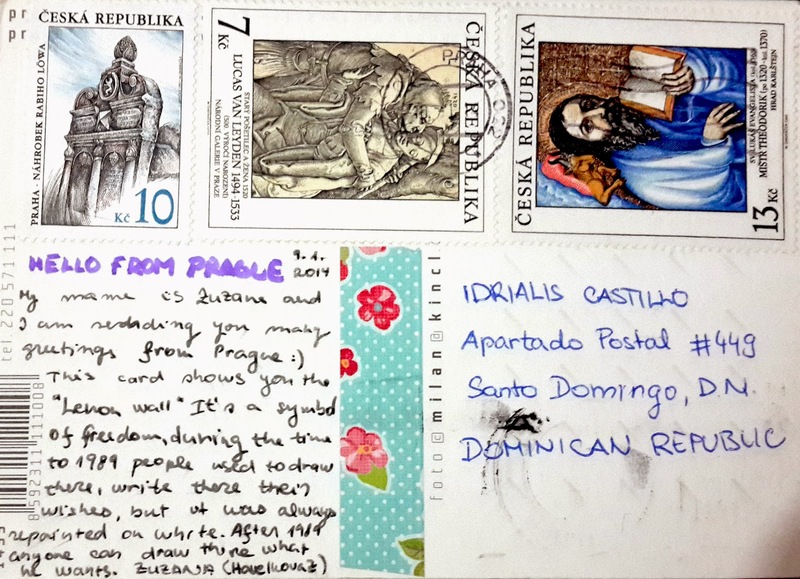 (CZECH REPUBLIC)- If you're a fan of The Beatles, there is nothing better than receiving a postcard related to any of them. This is the John Lennon Wall, in Prague, the capital of Czech Republic. According to Wikipedia, the history of this wall dates back to 1980, when John Lennon was killed. Since then it has been filled with John Lennon inspired graffiti and pieces of lyrics from Beatles songs. The wall continuosly undergoes change and the original portrait of Lennon is long lost under layers of new paint. Today it represents a symbol of youth ideals such as love and peace. (REPÚBLICA CHECA)- Si eres un fan de Los Beatles, no hay nada mejor que recibir una postal relacionada a cualquiera de ellos. 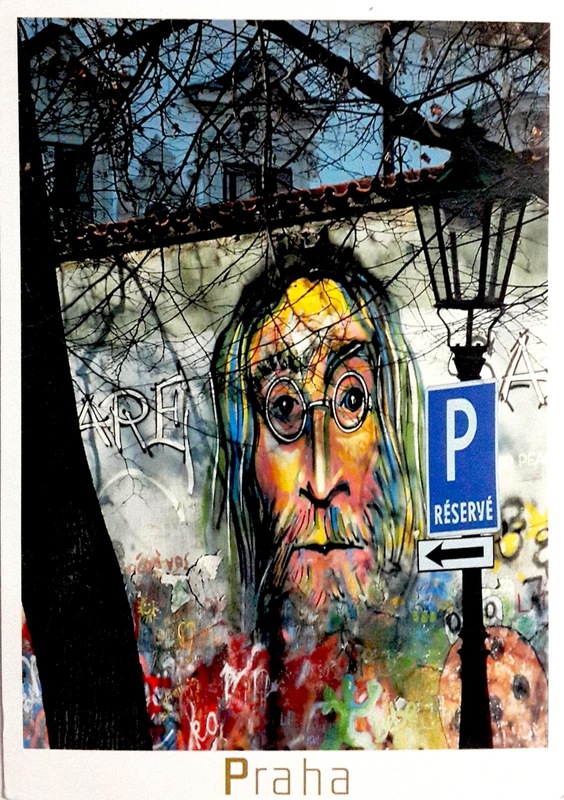 Este es el muro de John Lennon, en Praga, la capital de la República Checa. Según Wikipedia, la historia de este muro se remonta al 1980, cuando John Lennon fue asesinado. Desde entonces, el muro ha sido llenado con grafitis inspirados en John Lennon y en líricas de las canciones de los Beatles. El muro continuamente se mantiene cambiando y el retrato original de Lennon, se encuentra perdido debajo de capas de nuevas pinturas. Hoy día este muro representa un símbolo de ideales de juventud tales como la paz y el amor.